FindItMore | Ranking is the most important factor, everyone want to be in the top either in blogging or in any other field. If you your SEO efforts are really paying off then you are the most popular blogger and use some Rank Tracking Tools. Research your keyword and doing On-page and Off-page SEO optimization are the smallest part of the SEO is very effective. If you are serious about your blogging then you have to find a reliable way to get more traffic on your website to get popular on search engine. If you are doing your SEO properly then it will be good for your website. It will help you to get a better ranking on the Google search engine. But if you want to improve your ranking more than you need to access the right tools. The Top tools are mentioned below to track the ranking of your website. SEMrush is basically used for researches and is well known for the competitor research tools. You can do many things with SEMrush because they have many stuff to do. You can track the domain and keyword with the help of the position tracking feature. You can also find your competitive keyword with this tool and also organize your keyword by grouping them together. Your data is daily updated from the Google. It provides you update picture of how your ranking is paid and the organic search are changing over time. You also need to check your competitors ranking side by side so that you know about the things what your competitors are doing for better ranking. You have to do many things if you are doing your local business like tracking the location and the specific ranking of website. SEMrush is a tool which is powerful because it has a ton of features what bloggers need. you can track all kind of analytics of your website on paid and organic search, advertising, backlinks and more. Plus many more things like social media analysis tool, keyword difficulty analysis tool, and auditing features. If you need a full-featured suite of web-based SEO then SEOprofiler is the best thing for you. It has keyword rank tracking with page auditing, backlinks tools, and competitive intelligence tools. Keyword tracking tool is the best tool you have which keeps on your website on all the search engines like Google, Bing, Yahoo. You can easily find the keyword by just entering that keyword, and also you will get much suggestion related to your keyword. And many tools are available for prioritizing which keyword you have to target with a difficulty analyzer and a tool for optimizing your Google AdWords. You can also track your competitors ranking in comparison of your own with the help of competitive analysis tool and also the strategies or backlinks of your competitors. SEO profiler has a ton of advanced feature which is helpful for you. It is easily integrated with the google analytics and the social media network. 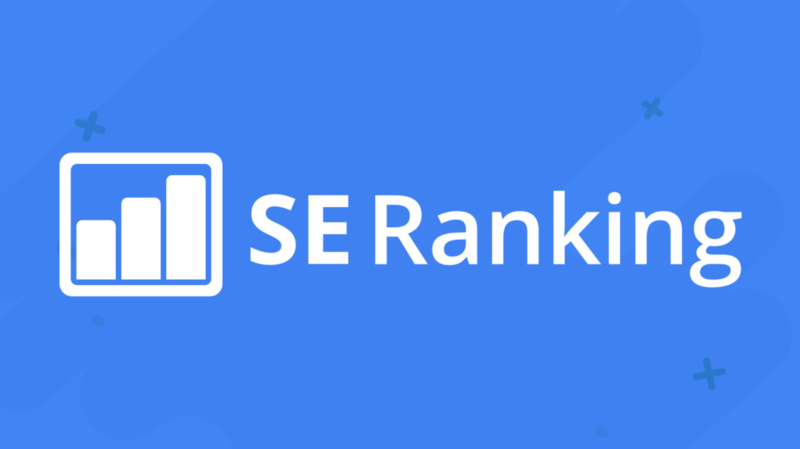 If you are looking for that tools which are easy to use and it’s don’t have many features then SE ranking is the best tool for you. It is not having many features like other tools have on this list. You can easily track your keyword ranking with this tool. The dashboard of SEO ranking will show you each and every change made by you and your competitors in Google, Yahoo, and Bing. It is the fully automatic tracker which can give you all the updates with a fresh data every day, and you have a choice to update manually your real time results. You can track your keyword ranking for your Domain, Sub-domain, and many individual pages. If you want to track your ranking on social networks like Facebook and YouTube then you can do with this tool. An app is also available in IOS and Android from which you can track your ranking with your smart phone. This is the best tracker for those people who don’t want complications. Moz has all the things you need when it comes to SEO tools. They offer you a great suite of products which is helpful for you because it has Moz analytics, On-page Grader, the difficulty of a keyword, and Crawl test tools. The ranking tool which is present in the Moz allows you to track all the selective keywords which are present on Google, Bing, and Yahoo over time, and it includes all the customizable email notifications. One best thing you should do with Moz is comparing the ranking with your competitors. You can also filter your data with the help of ranks, keyword label, search engine and more. You can also check that how a deep competitor’s analysis helps you to check how Domain Authority, link metrics, anchor text, and title tags affect rankings of your website. If i am talking about Advanced Web Ranking tool then this tool offers you both the things, you can use as desktop software or cloud-based tool for the tracking of your website. The best thing in Advance Web Ranking is you can check an infinite number of website, competitors, and campaigns. With the help of AWR, you have to choose either you can refresh the data of your website at any time, or you can schedule the automatic updates of your keyword ranks. AWR also gives you opportunity that you can also track location-based tracking for local business. And support Latin, Hebrew, Cyrillic, Japanese, Chinese, Korean keyword with special character. You can also work in AWR as a team and this is the coolest feature of AWR. You can assign users with specific permission according to you, so that they can edit the data or modify the data and run all the reports. White label reports are also available in AWR. There are many tools available for track your ranking online but you can choose those tools which are beneficial for you and get you the proper reports of ranking. There are five tools i mentioned above, these five tools will definitely help you to check your accurate ranking of the website. Don’t go for those tools that are free because no one can do your work for free, so stay away from those tools if you want accurate information or reports of your website. There are many options available in the tools mentioned above you can check your rankings plus many more things which is useful for you. You can also check the competitor ranking and the strategies what they are applying to their website. You have to pay some bucks monthly to take the proper access of these tools. After getting the full access of these tools just enjoy all the features of the tools and know many things about your websites what you don’t know. The five tools I suggested you is the best five tools according to me because you can get many things in these five tools. And from my opinion no one can give you many features than these tools. So just make sure that the tool you are choosing have capability to do the work you want. I’m excited to uncover this website. I wanted to thank you for your time due to this wonderful read!! I definitely appreciated every little bit of it and i also ave you book marked to look at new things in your blog. I have been checking out many of your stories and I can state this as pretty!